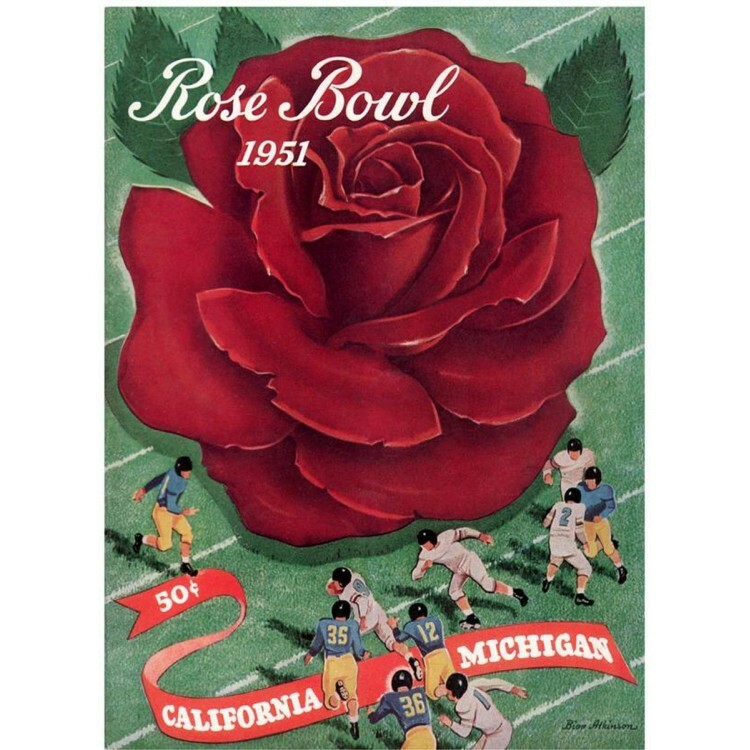 In Michigan and California's 1951 duel at the Rose Bowl, the final score was Michigan, 14; California, 6. Here's the original cover art from that day's game program -- vibrant colors restored, team spirit alive and well. Officially licensed by the CLC, the University of Michigan, and the University of California. Beautiful 22 x 30 canvas print, suitable for a ready-made or custom-designed frame. Overall dimensions 22 x 30. Each collectible comes with a Pittsburgh Panthers image sublimated onto black plaque. It measures 8'..
10.5 x 14 FRAMED (HFP)1954 MICHIGAN/MICH ST (891123).. The Colorado Buffaloes wall-mountable logo mini helmet display case is made of 1/8"-thick acrylic wi..
Show your team pride with a Wave 7 Licensed collegiate pool cue. The unwrapped hardwood handle conta..